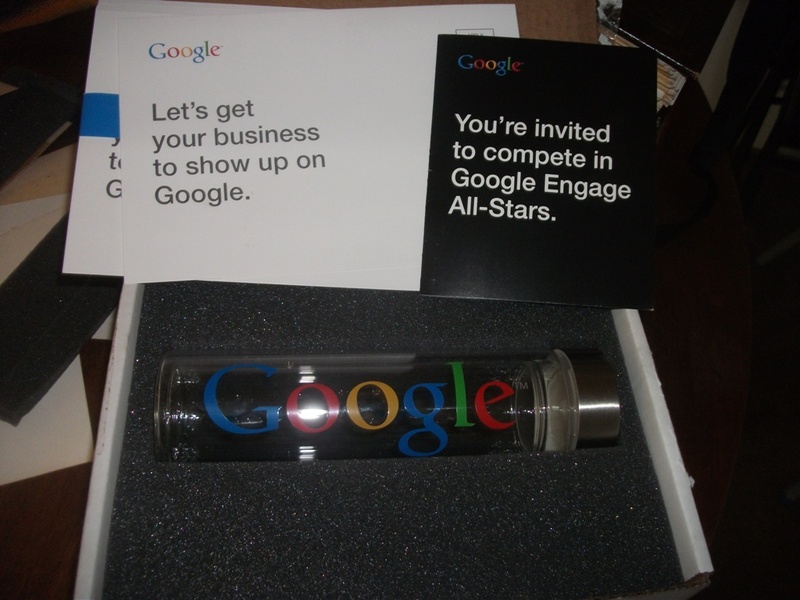 As a Google Certified Partner, I periodically get cool swag and promo items. Last time I got a baseball cap and a USB Drive. This time it’s a really nice glass thermos with Google’s logo and more $100 coupons for new Google AdWords customers.